NEIL FIORE, PhD, is a renowned psychologist, lecturer, trainer, and bestselling author. Dr. Fiore has built a reputation as a leading peak performance and productivity expert. He has presented and trained around the world to clients such as: AT&T, Bechtel Corporation, Levi Strauss & Co., Kaiser Permanente Hospitals, The Smithsonian Institution, and the Federal Reserve Bank. Chapter 1 The Seven Essential Strategies. Chapter 2 Time and Life Management. Chapter 3 The Language of Effective Self-Management. Chapter 5 The Power of Focusing. Chapter 6 The Power of a Compelling Mission. Chapter 7 Ignite Your Motivation. Chapter 8 Effective Goal Setting. 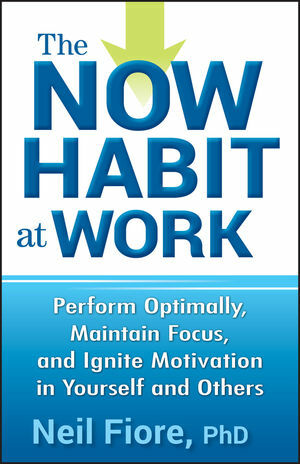 Chapter 9 Managing Procrastinators and Difficult Employees.